I finished this blog a while ago now, with this final post. 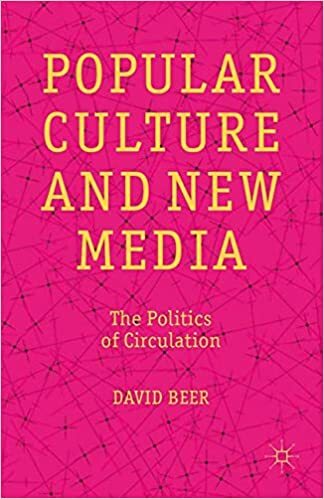 This blog was part of the background work I was doing at that time for my book Popular Culture and New Media: The Politics of Circulation. That book has just come out in paperback. As that book was linked so closely to this blog, I thought it might be worth one final post (a kind of epilogue post). The book is now in stock with the usual online retailers. And for a short while it can also be ordered direct from the publisher with a 30% discount. You just need to use the discount code PM16THIRTY here. In case it’s of any interest to former readers of this blog, this is just a note to say that I have a new site that can be found at davidbeer.net . This is my 610th and final post on Thinking Culture. I’ve been running the blog for around 2 years and 4 months. This is a lot longer than I expected it to run when I first set it up. I originally set the blog up as a way to observe what I ended up calling ‘the politics of circulation‘, I was developing a book project at the time and I wanted to understand the folding-back of data into culture – including what became visible and what didn’t. The blog served it’s purpose, allowing me to see how content circulated, whilst also taking on a life of its own. I ended up averaging several posts a week and archiving all sorts of materials. Most of the posts curated interesting content that roughly related to culture, but I also added longer posts on things I had read, academic practices, cultural analysis or responding to things I thought were interesting. This seemed to work ok and over time the blog built a modest number of readers (most though were discovering the content through search engine connections to tags I’d used or by clicking on a Twitter link). Having the blog has been productive in the large part. I was able to develop ideas and archive materials for potential use in my research and teaching. I also made lots of connections with people I didn’t previously know (this was probably the best thing about it). So I’d certainly recommend blogging to others. Given what I’ve said, you might wonder why I’m stopping. There are a couple of key reasons why I’ve made the decision. In the time since I started this blog the opportunities to write in different formats has drastically escalated. There are now some great spaces that make the most of the communicative potential of new media forms. I won’t list them here, but there are a number of really good online magazines and variations on multi-authored blogs now. One thought I’d had was that I’d like to be more of a part of this community and network of (genuinely open access) knowledge creation and sharing. I want to take the limited time I have and use it to write for these collaborative outlets. There are opportunities to be a part of these developments, and I’d like to free up some time to do that. I’ve really enjoyed writng pieces for these types of spaces in the past, and i’d like to try to do more of that sort of writing and blogging. Having your own blog is a solitary (if networked) practice, and I’d like to put more effort into being part of these emergent collaborative publication spaces. As my workload has grown in various ways, I’d simply like to prioritise this other mode of writing/blogging for a while. This means I’ll no longer be able to curate content in the same way, but I think it will be enjoyable and worthwhile to take this alternative approach for a while and focus on more substantive type posts for various outlets. And there are still some great places to go to keep-up with interesting and important books, talks and the like – progressivegeographies.com is still the best blog for keeping-up with important publications etc. Alongside all of this, I’ve blogged previously about my new role at Theory, Culture & Society. A little while ago I joined the journal’s editorial board (as social media editor), and I also co-edit their open site. The TCS site is a kind of open access supplement to the journal. I’d recommend taking a look, it can be found at theoryculturesociety.org . I’ve been working on this for a few months and it’s been great. The site is really developing now. I see this as an important development, and I want to put as much time as possible into helping to make it a really vibrant resource. I’ve been commissioning pieces, a number of which are now on the site, and I’ve also recently completed three interviews with authors (the most recent interview can be found here). If you are interested in the general themes covered by the journal I’d recommend following the developments at the TCS site. As well as interventions and interviews we also publish video abstracts. Soon we hope to add book reviews and other types of content. At the moment we are publishing a couple of pieces a week, and this is likely to increase over time. Part of the reason for ending Thinking Culture will be to focus my efforts on developing the TCS site. It is already proving to be an interesting role, and the site is, I think, publishing some really interesting materials. So these are the reasons. For a while at least I’d like to focus on the above (for anyone who is interested I’ll keep using Twitter, for the time being at least @davidgbeer ). It’s been very enjoyable using this blog and I may possibly resurrect it one day – it was a hard decision to stop and I may find I miss using it. For the moment I’d like to focus on writing and editing for these collaborative ventures. Thanks for your interest in my blog, I hope it was of some use (the archive will still be available). I also hope you might add theoryculturesociety.org to your regular eading list (the TCS site can also be followed on Twitter @TCSjournalSAGE ). 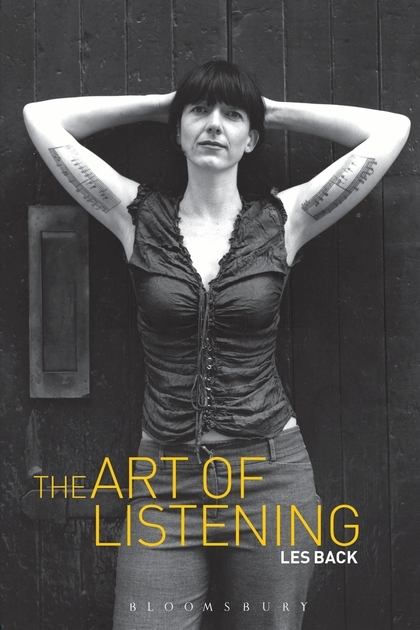 Les Back has written a new preface for the Japanese edition of his book The Art of Listening. The preface has been published in full on the Sociological Imagination site. In this new preface Les reflects on the reception and writing of the book, he also talks of the anxiety of publishing the book. The preface us really revealing about the writing process and gives some backstage insights into the experience of authorship. Anyone interested in writing will find it to be of interest. I bought this book when it was first published. I was working on sound at the time and I took the title a bit literally. I was expecting it to be an extension of Les and Michael Bull’s edited book The Auditory Culture Reader, I was pleasantly surprised to discover it was a book about the practice of sociology. I remember finding the conclusion to be particularly inspiring. In that chapter Les discusses the way that our ability to listen has been diminished and begins to develop the concept of live sociology (which has since been further developed). So I would fall into the category of early career sociologists who were influenced by the book, as described by Les in his new preface. Following from his recent guides to reading Lefebvre and Foucault , Stuart Elden has added a guide to where to start when reading Sloterdijk. 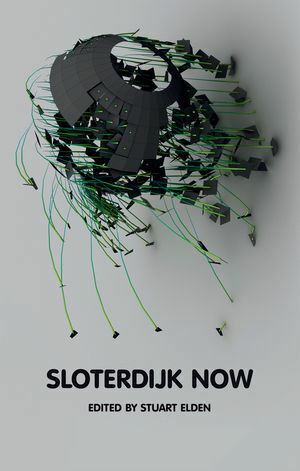 The post runs through Sloterdijk’s key publications, their specific contributions and what use they might be. So far I’ve only really read Bubbles, I’ve also read parts of Stuart’s edited collection Sloterdijk now (I’d recommend Stuart’s editorial introduction to that collection as a helpful guide to Sloterdijk). 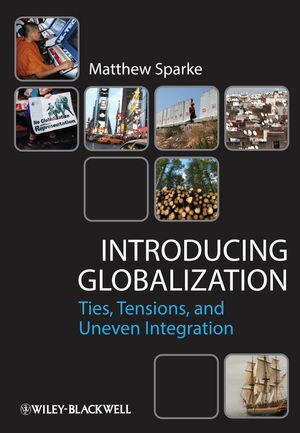 The Antipode open site have published a review symposium focusing on Matthew Sparke’s book Introducing Globalization: Ties, Tensions and Uneven Integration. There are four reviews and a response from the author. The reviews are by Stephen Young, Jamey Essex, Farhang Rouhani and me. 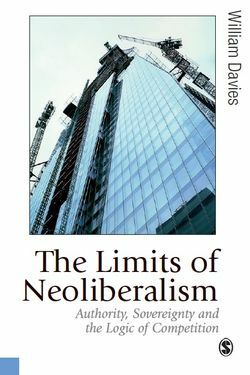 As this is a textbook the remit was to review the book but to discuss it in relation to broader questions about globalization and pedagogy – the reviews therefore represent a broader discussion of the teaching of globalization and the use of textbooks (my review also touches on the need to defend the space for textbooks to be written).